Q: How do saunas help me lose weight? A: Saunas have been proven to aid in weight loss by heating your core temperature to induce sweating. Increases in blood flow and heart rate are a result, which, much like moderate exercise, has shown to help you lose weight. Saunas also help you lose weight by easing aches and pains associated with weight training, helping you get back into the gym the next day. Q: How much weight can I lose in a sauna? A: There’s a lot that goes into weight loss, including your current weight, and eating and exercise habits. Just as there’s no one diet for every person, there’s no one number of pounds lost using an infrared sauna. Sessions have been shown to burn as much as 600 calories, which may be similar to an hour-long jogging session on a treadmill. Q: What is the difference in steam sauna and infrared sauna for weight loss? A: A traditional sauna uses wet or dry heat to warm the air around you, which induces sweating. This can aid in weight loss, but it has shown that the weight loss is mainly due to loss of water – or heavy sweating. An infrared sauna heats your body from the inside out, which allows you to stay in the sauna longer and increases your heart rate. 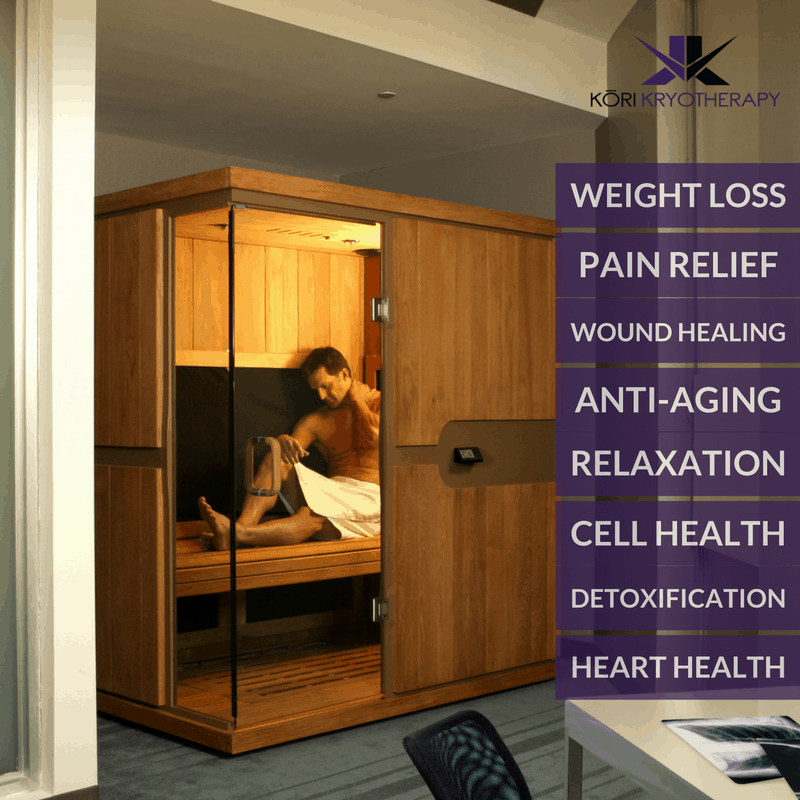 Infrared sauna use results in more calories burned in a shorter period of time. Furthermore, Solocarbon infrared heat allows for most of the far infrared wavelength to be near 9.4 microns, which is the level at which the human body absorbs infrared energy. This is also the frequency at which a water molecule resonates or vibrates. This vibration causes a release of cellular toxins. This optimal micron output also allows for deeper penetration of far infrared heat, which improves weight loss efforts.